It has become an annual tradition for JoAnna Forshee at InsideLegal to take the text of the Legaltech agenda, mash it up into a word cloud, and thereby illustrate the conference’s dominant themes. 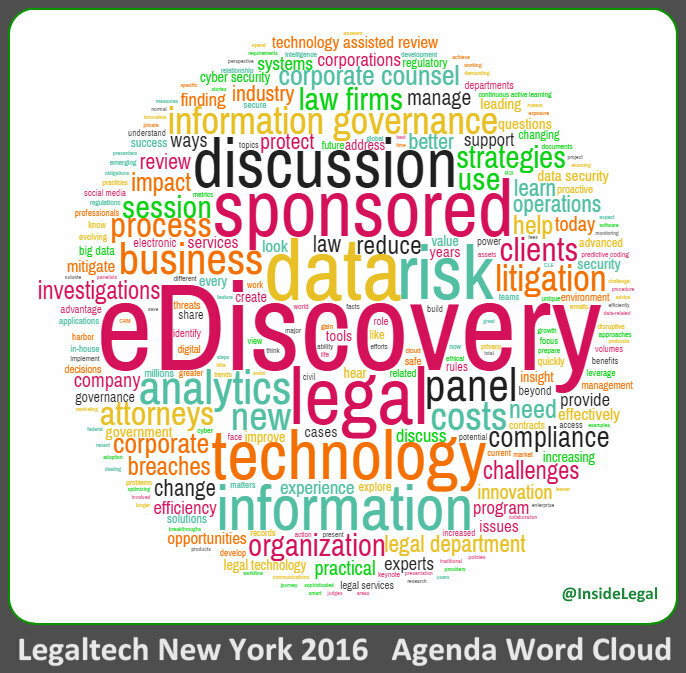 You should check out JoAnna’s full post, where she has the Legaltech word clouds going back to 2011. That year, believe it or not, e-discovery was not the major theme.